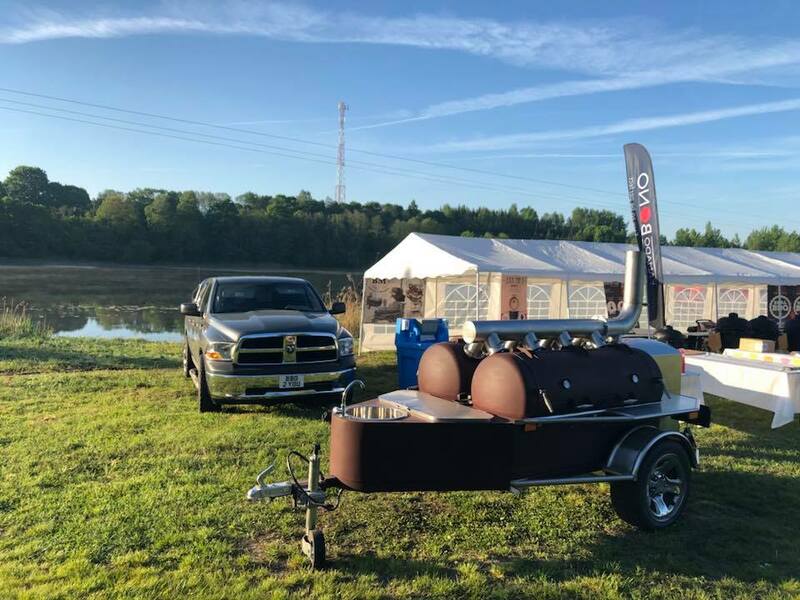 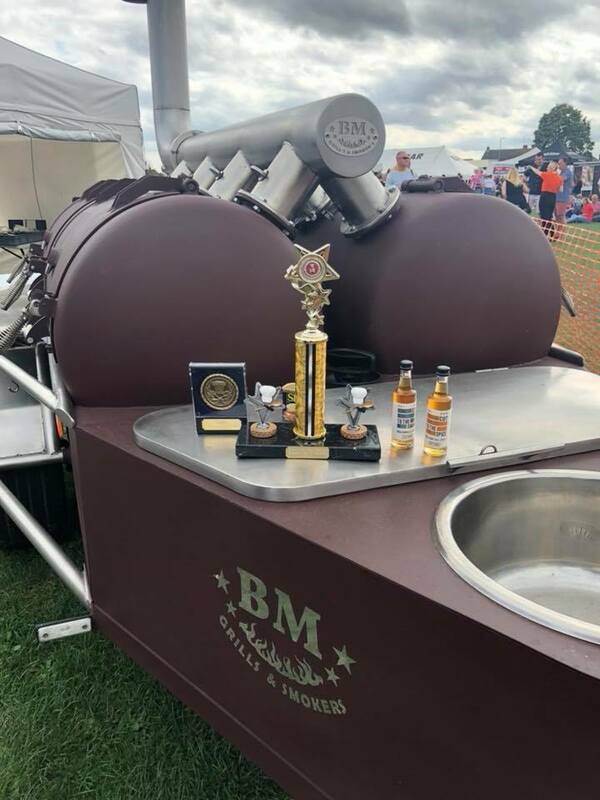 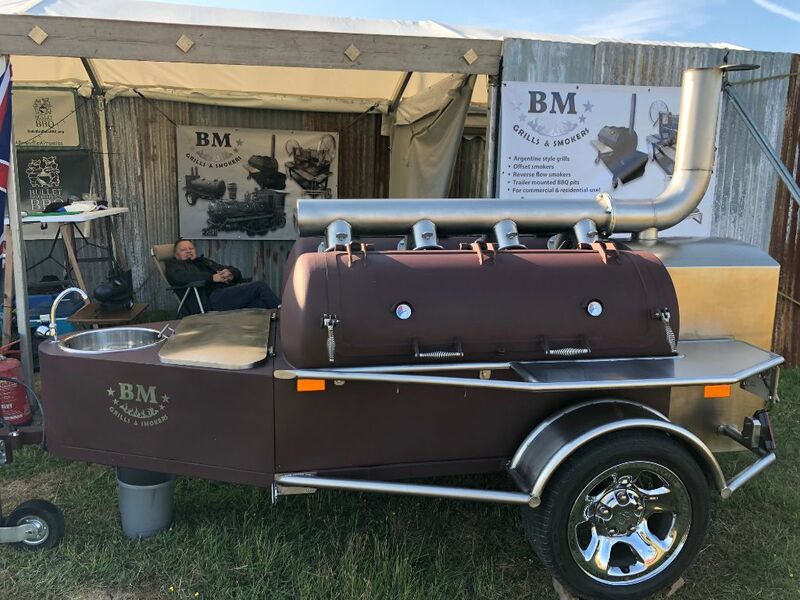 BM competition BBQ Trailer for sale!!! 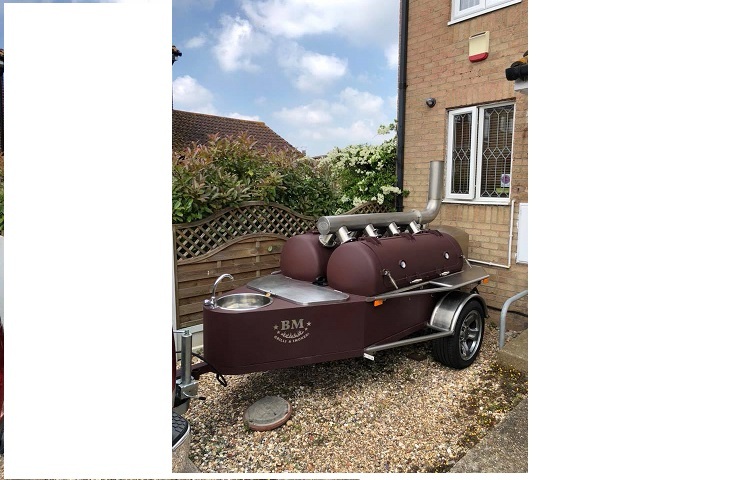 Grab a BARGAIN! 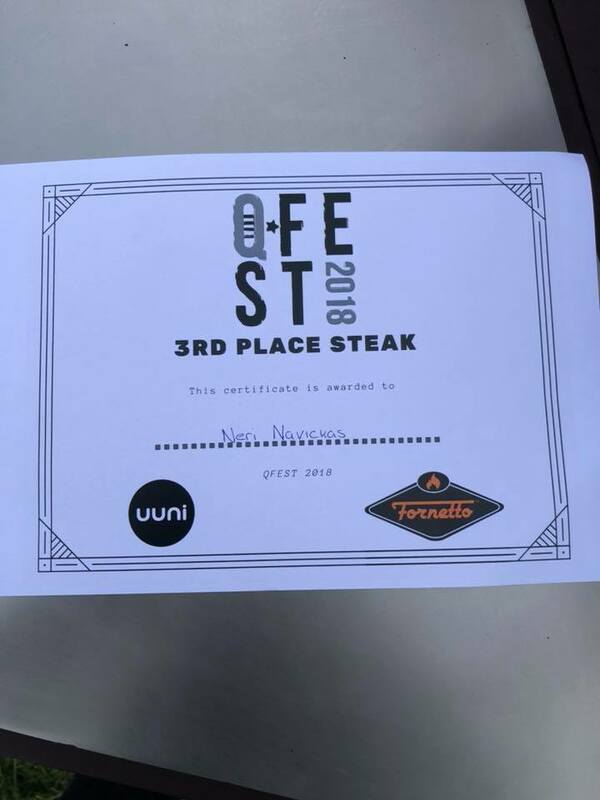 Only one in the planet! 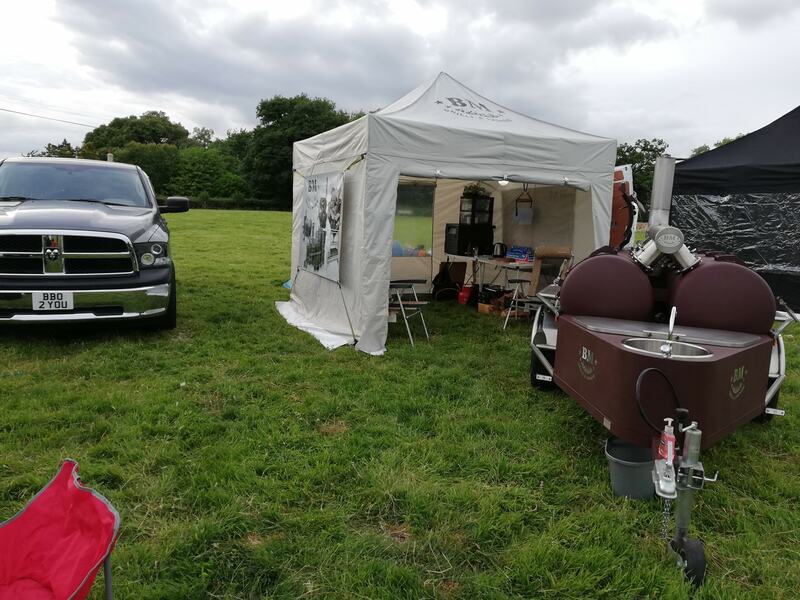 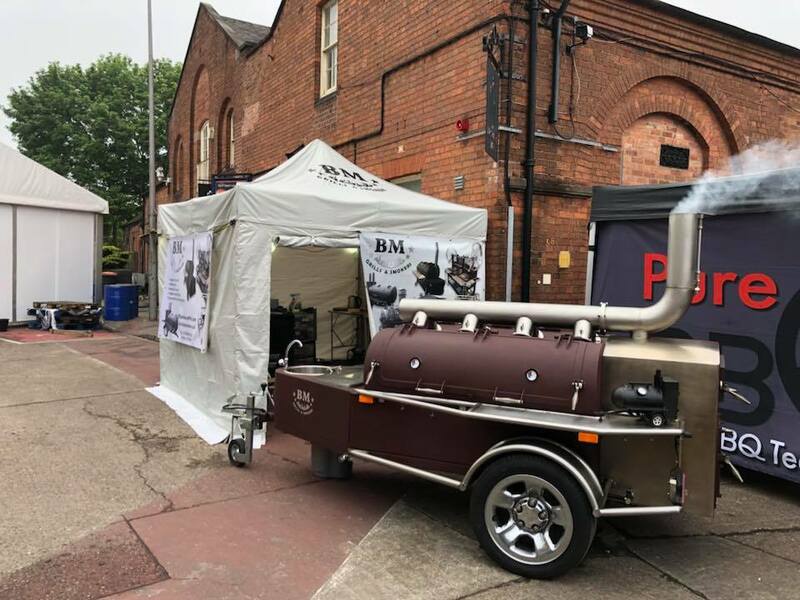 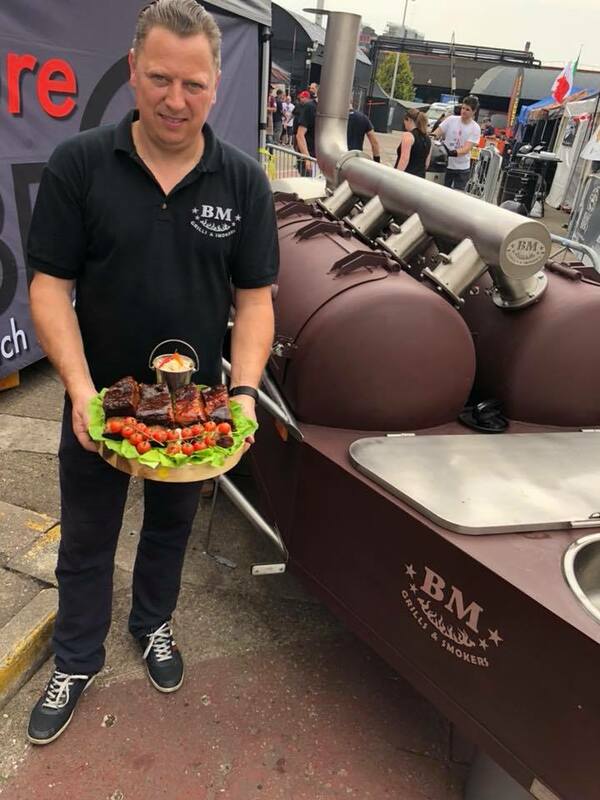 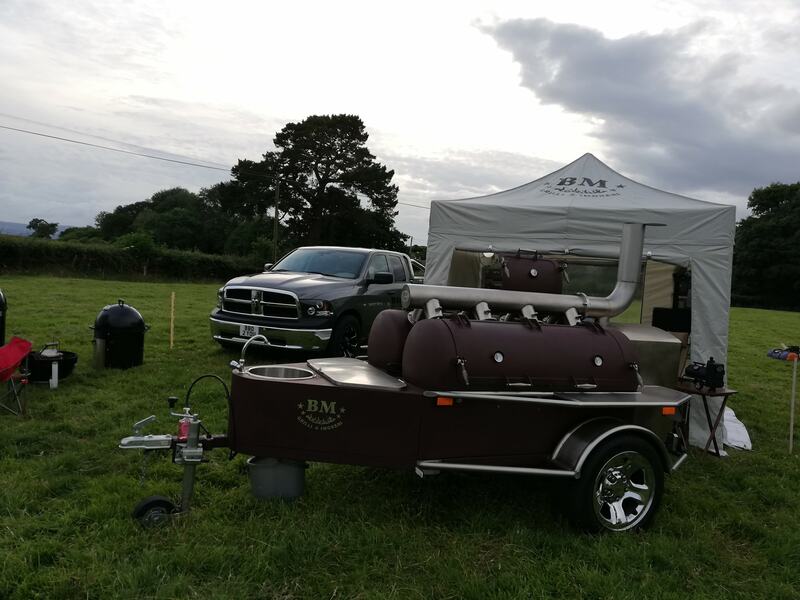 The BM competition BBQ trailer, can be used for catering purpose too. 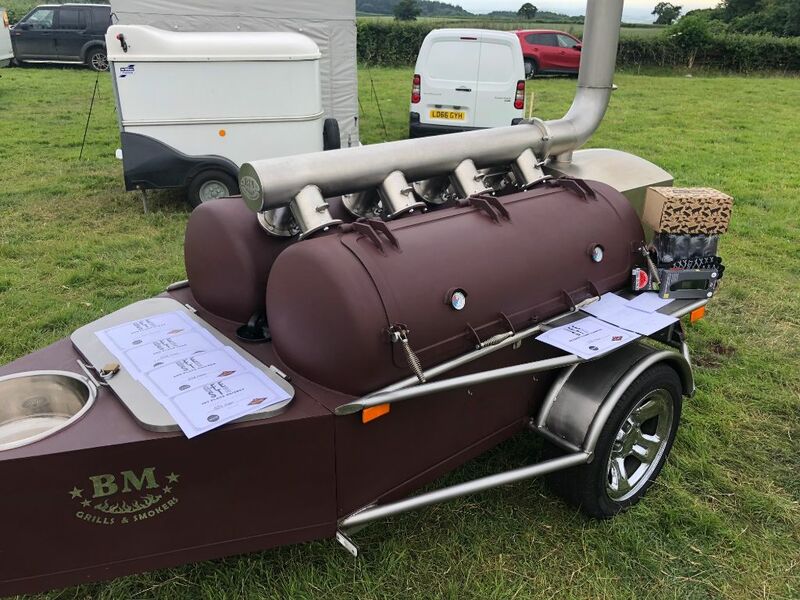 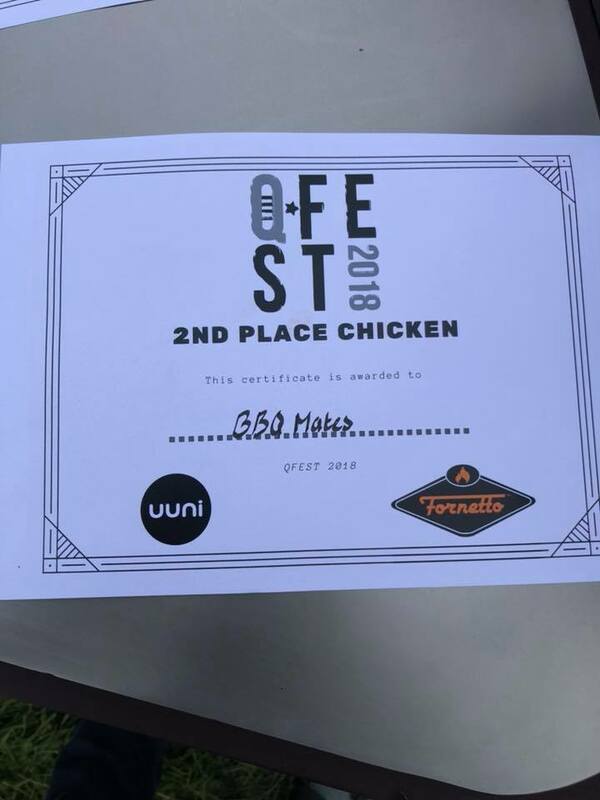 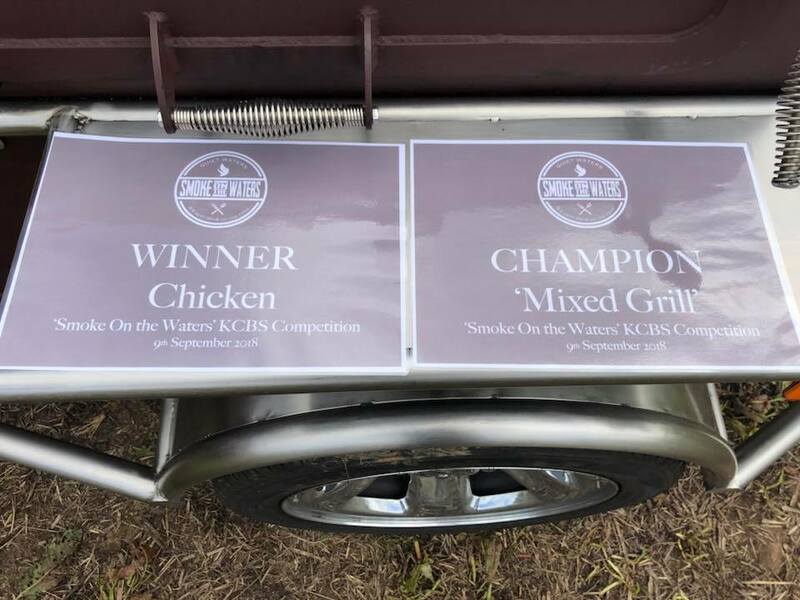 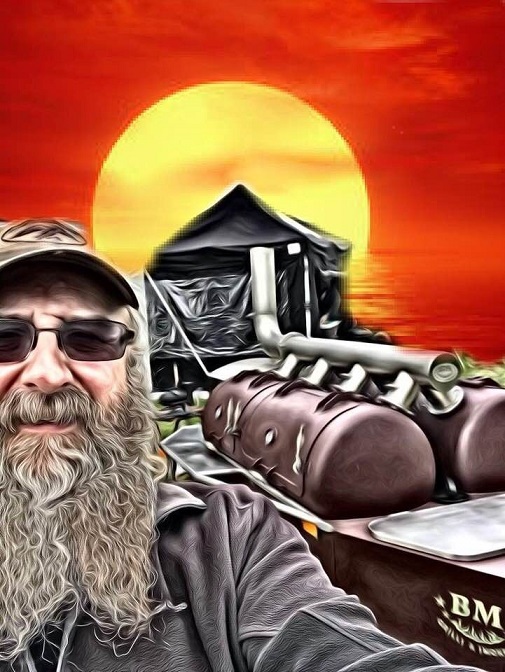 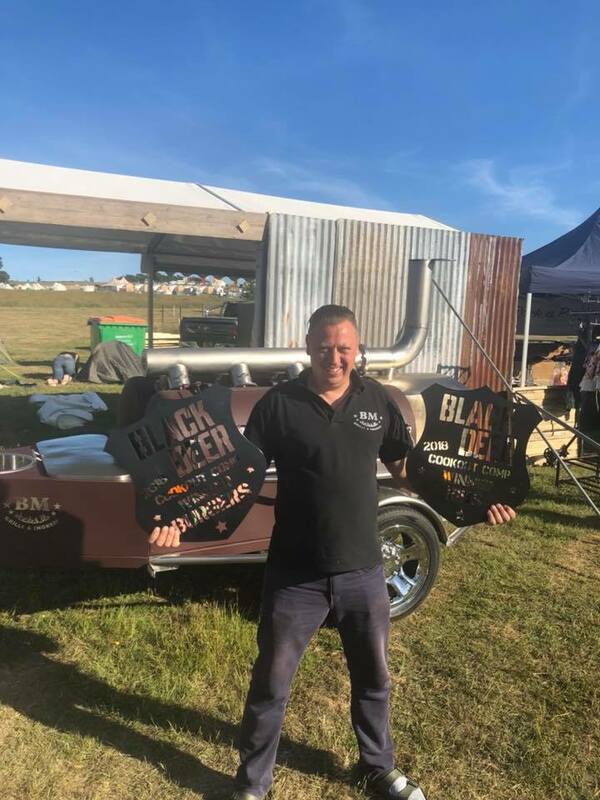 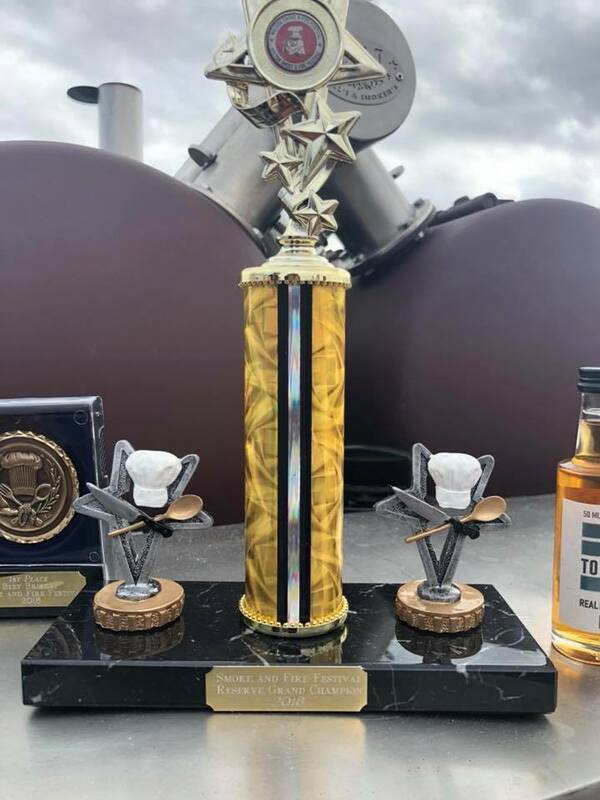 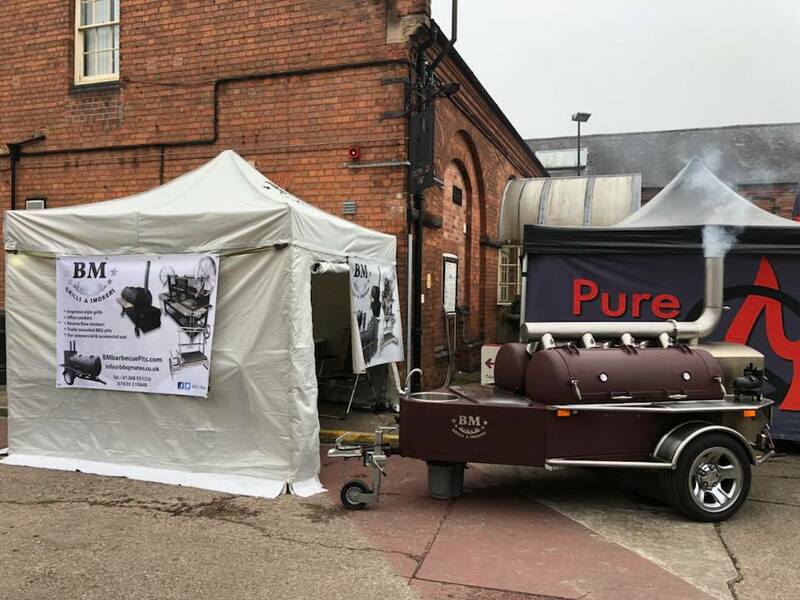 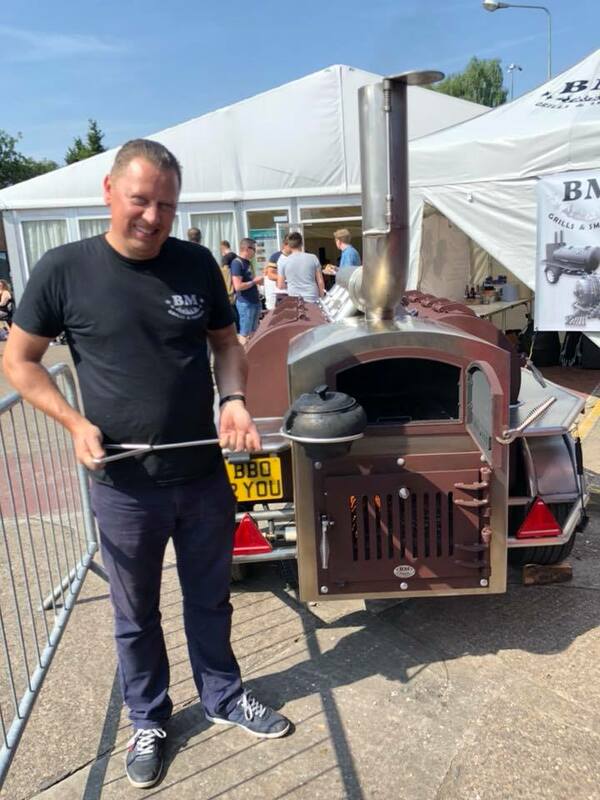 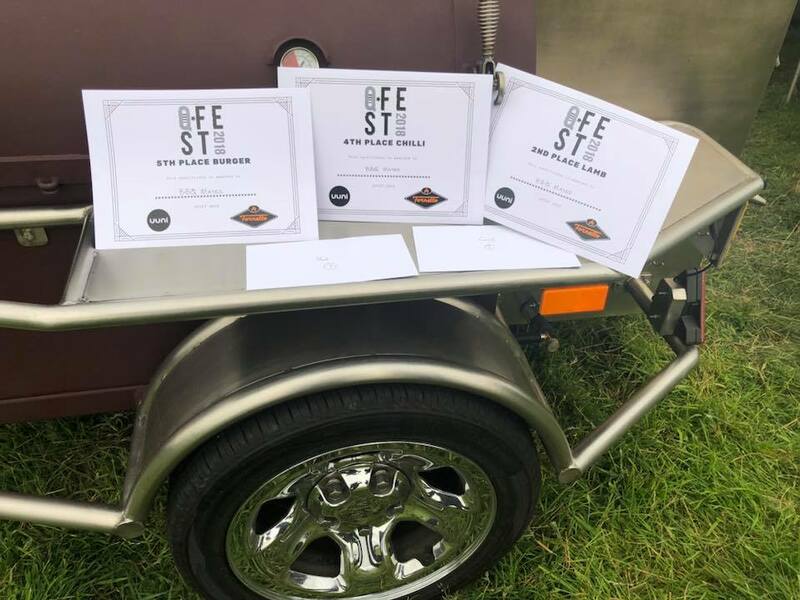 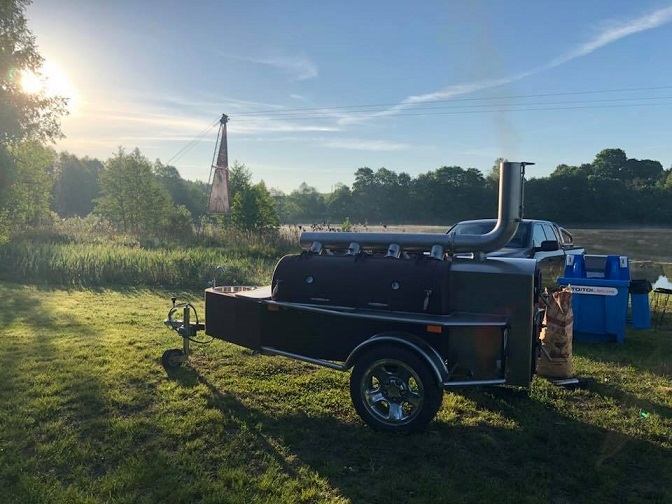 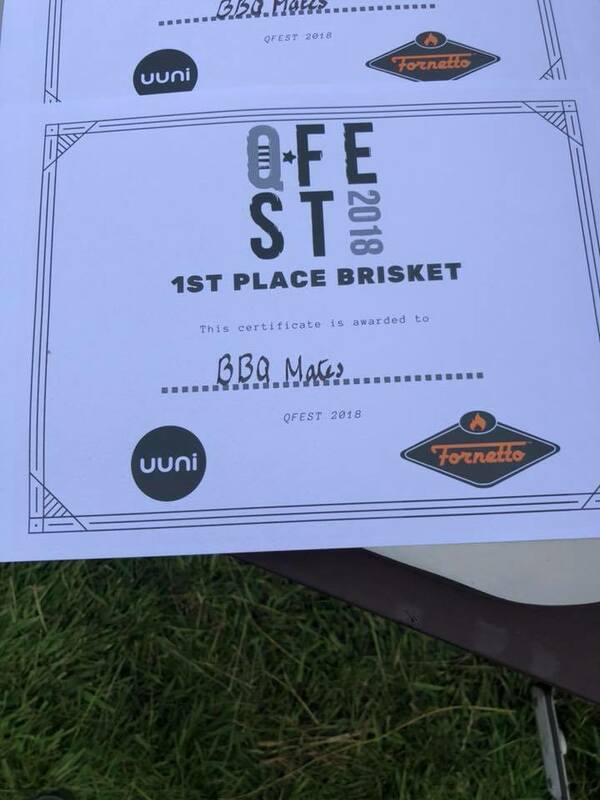 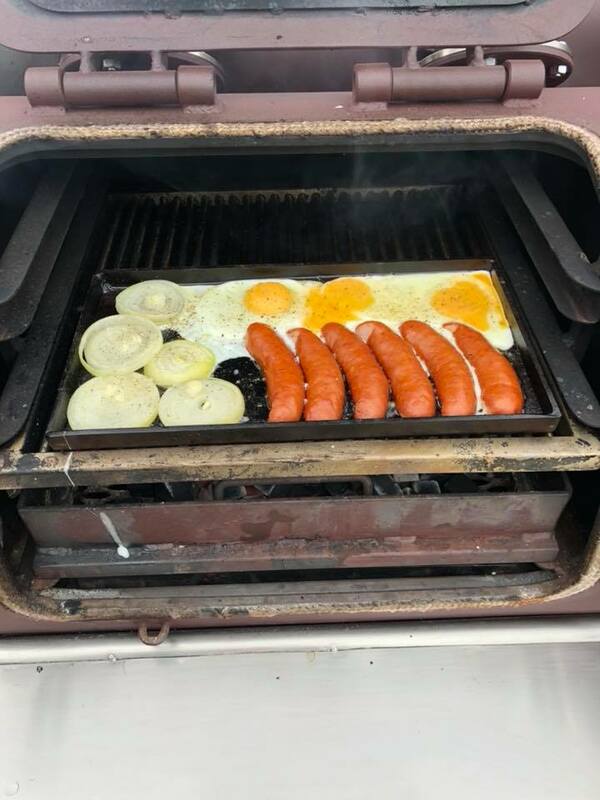 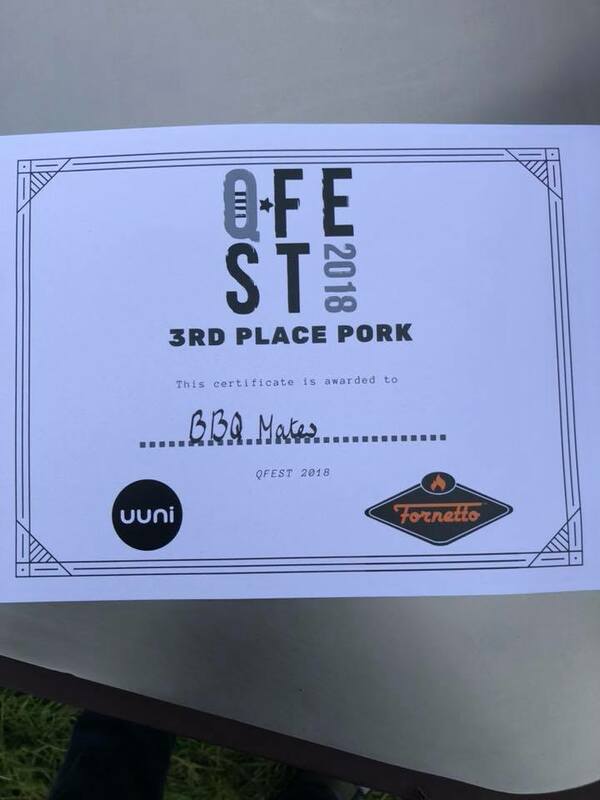 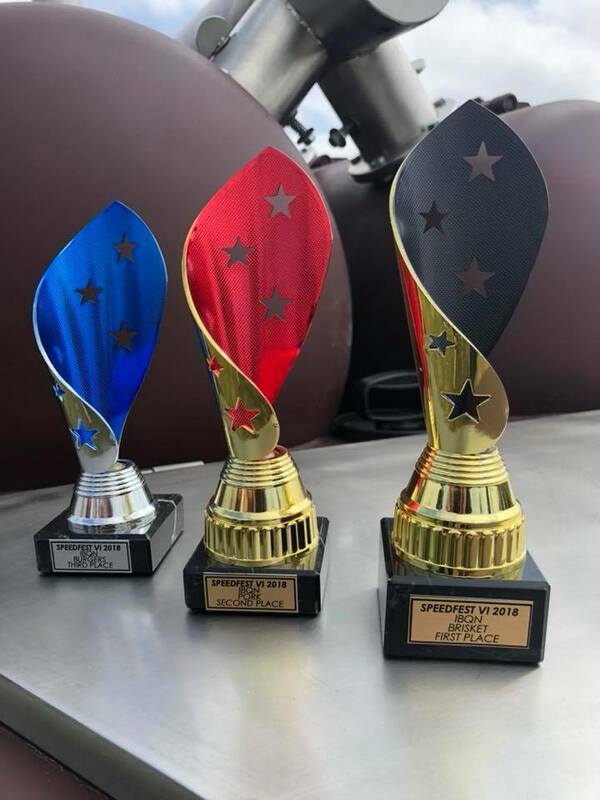 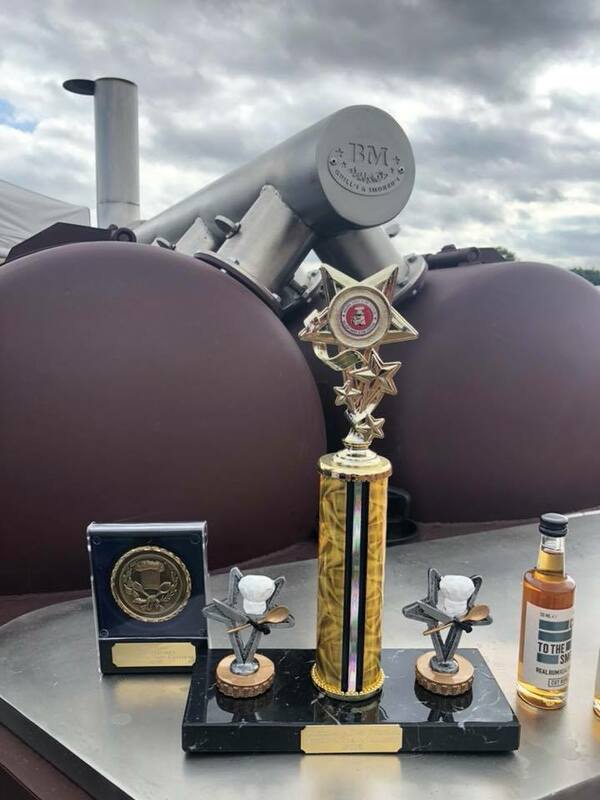 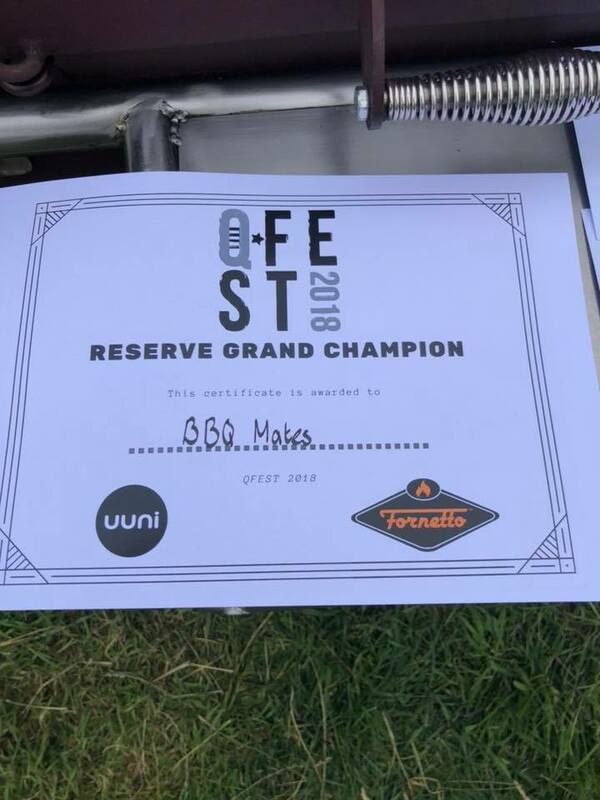 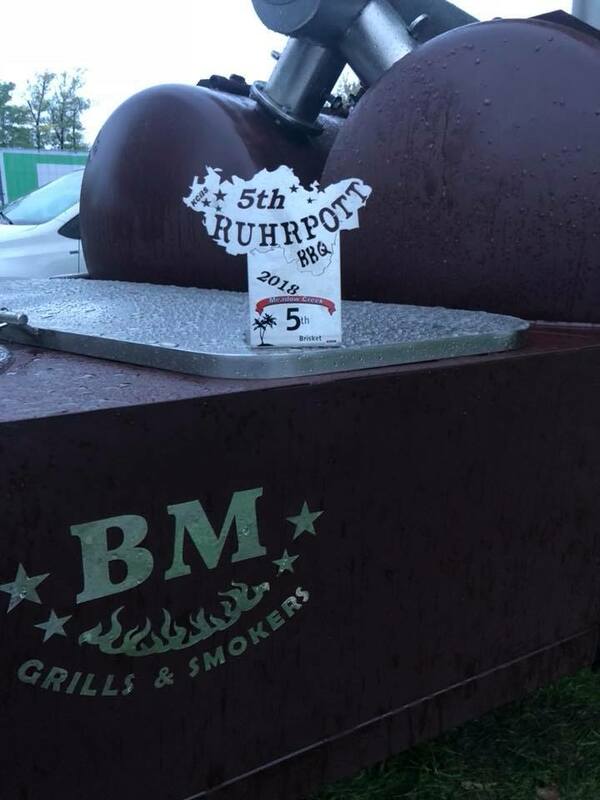 It was build in May 2018, we built only one this shape unit to BBQ Mates Team for competition use and did used it at 9 contests all together and finished with very good results. 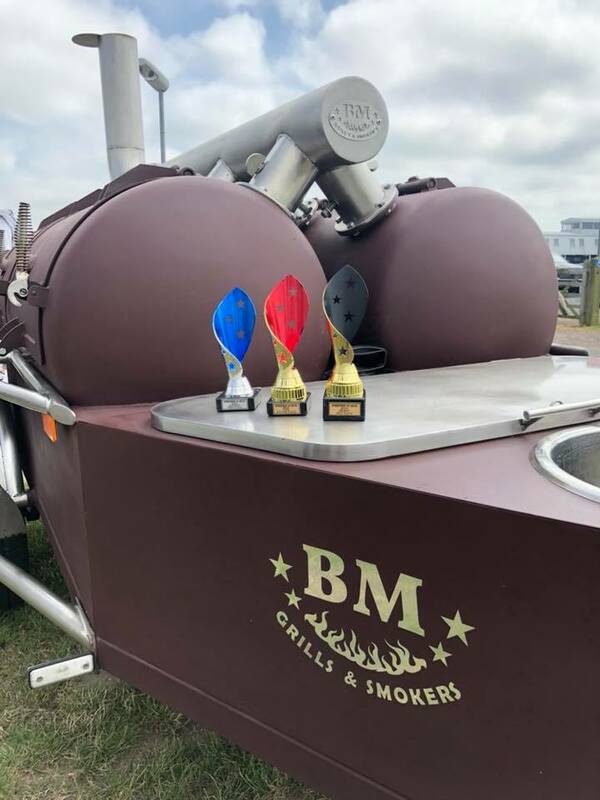 All competition meats such as :brisket, pork, chicken, pork ribs, beef ribs, lamb, etc. 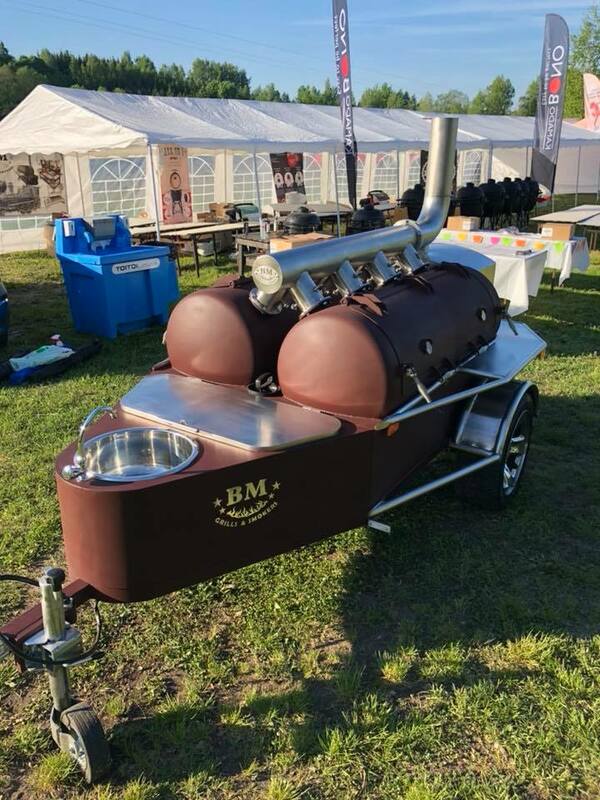 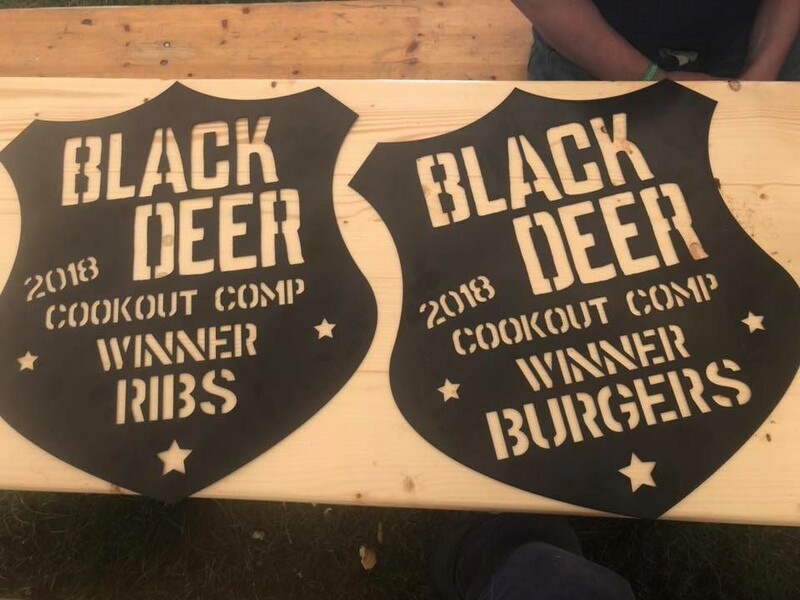 has been cocked on this rig(never used other BBQ’s this year). 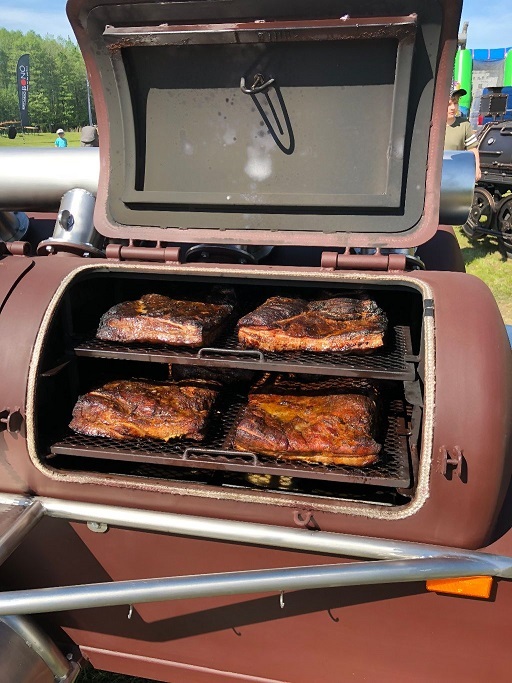 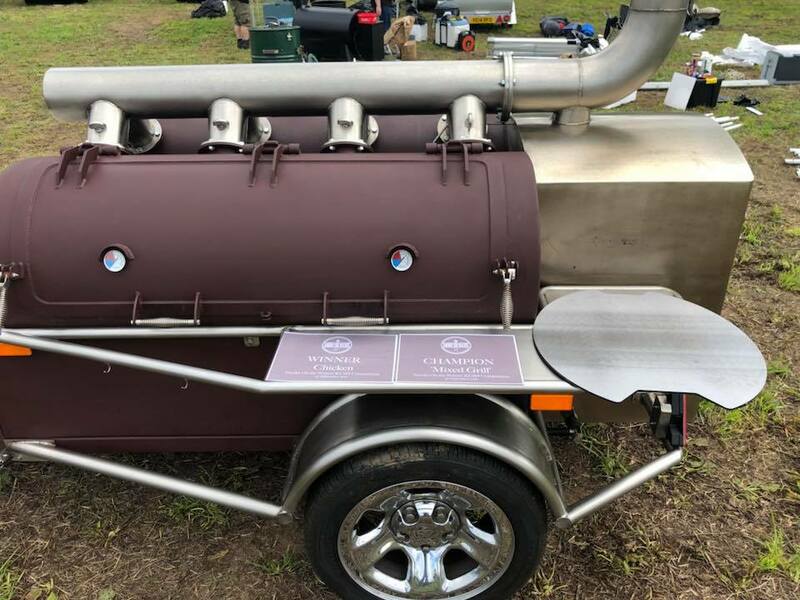 There is one large reverse flow smoking chamber(can hold approx 6 briskets or more, depending on the size) and other chamber is split in two parts: smaller smoking chamber(can hold approx 4 briskets) and grilling chamber. 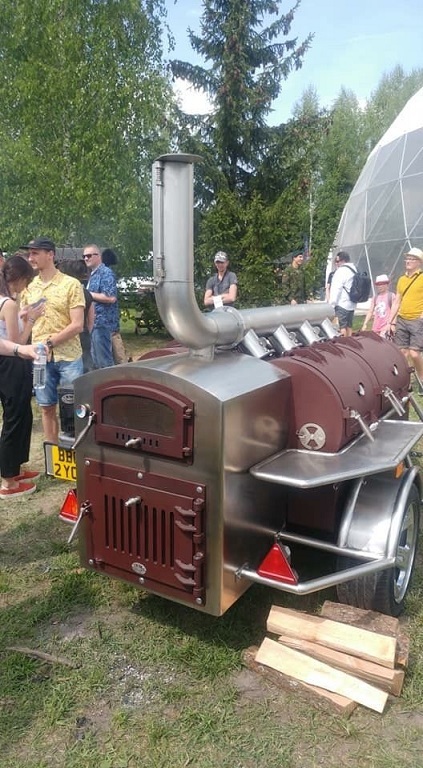 On the top of the firebox there is an oven or can be used for smoking/cooking/frying, boiling, ets. 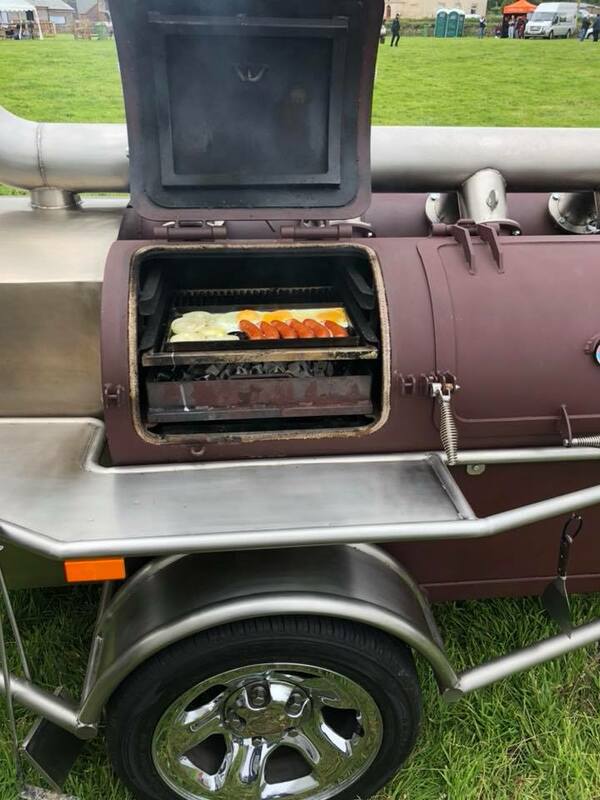 equipped with hot plate inside. 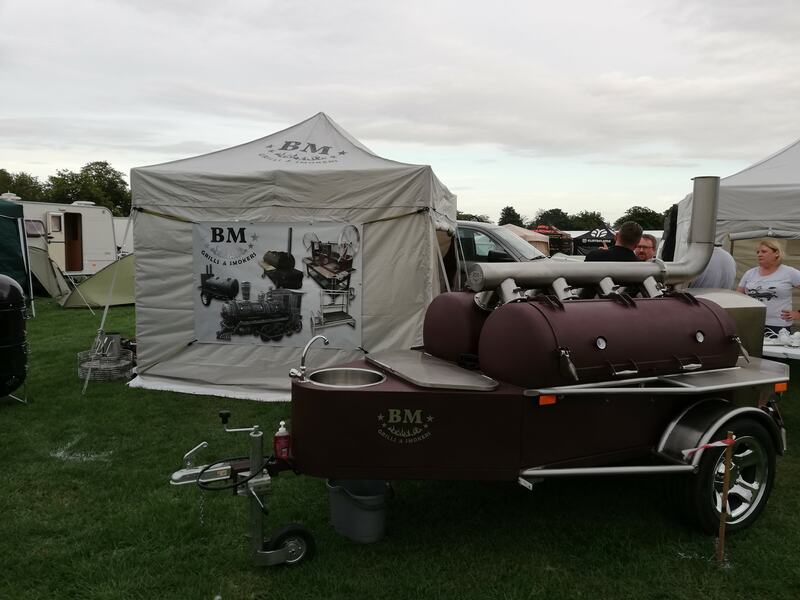 I don’t wanna talk about how great, nice and astonishing design is, cos all about that can see by viewing the images. 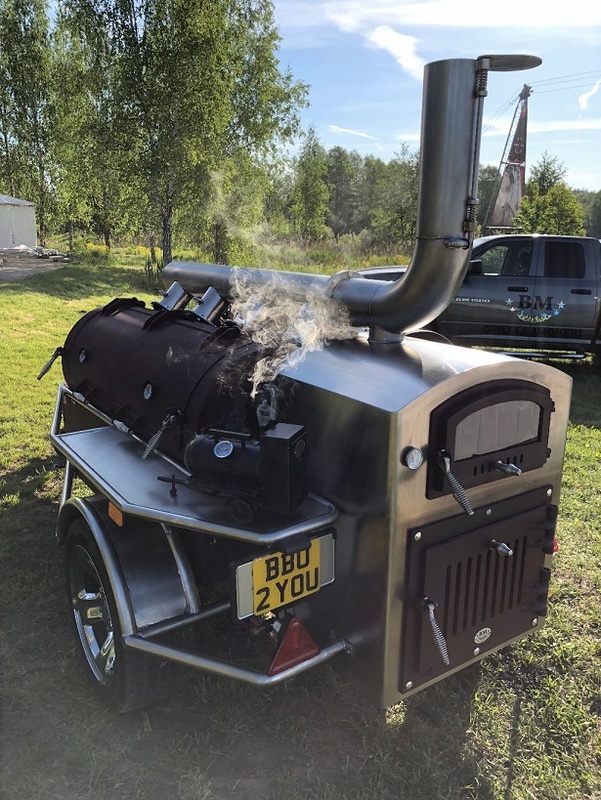 Firebox equipped with adjustable air intake vents for temperature control. 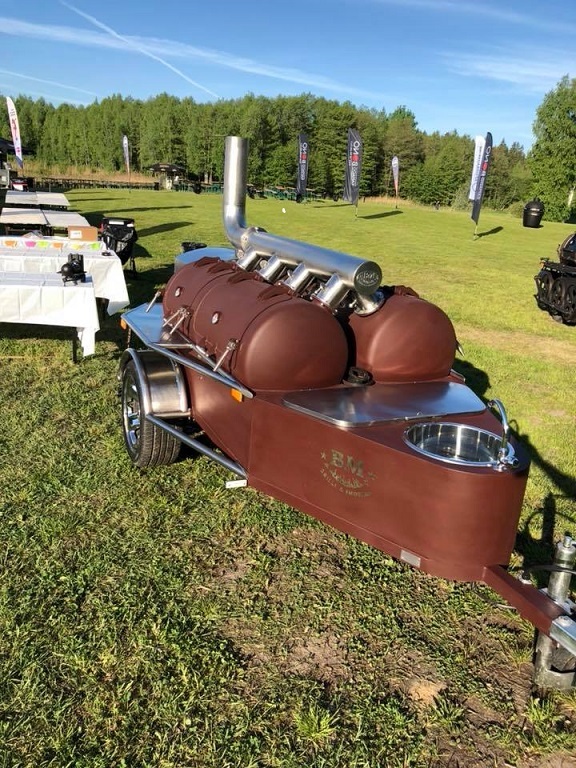 V8 shape chimney stack made in stainless steel and has nine adjustable valves to control the heat in the cooking chambers. 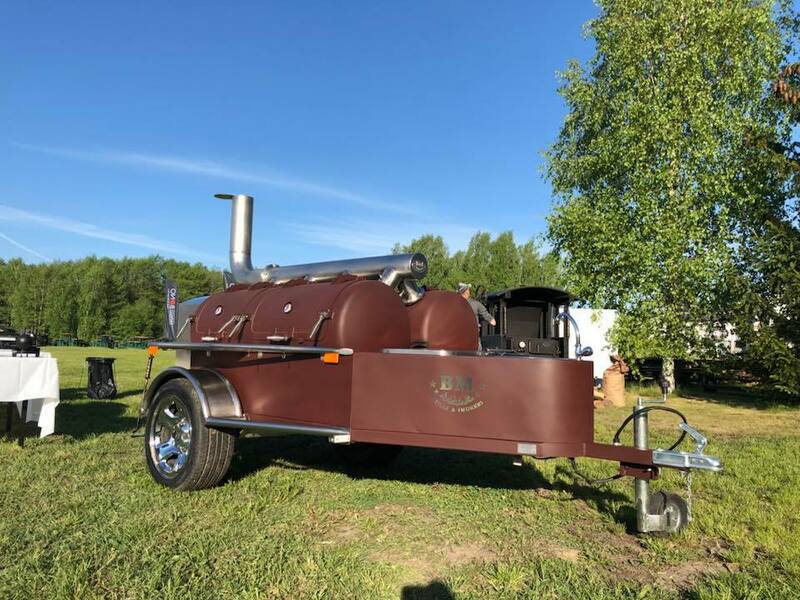 The smoker comes with a sink at the front and also storage area next to it for wood ,charcoal, BBQ tools, little gas bottle, etc..